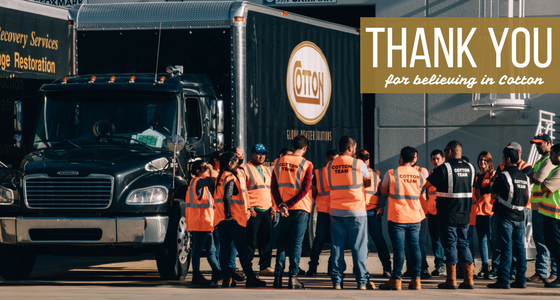 Thank you to our clients - Cotton Holdings Inc.
As Thanksgiving approaches, we’d like to use this special season to take the opportunity to express our gratitude to you, our valued clients and partners. We are deeply thankful that you believe in the Cotton brands and we remain steadfast in our commitment to delivering top rate service. We want to thank you for your remarkable patronage. Wishing you and yours a very Happy Thanksgiving with abundance and peace. May the joy of the holidays extend to you and your family now and throughout the coming year.